Gotta check it out! 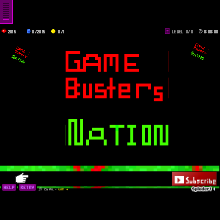 Go on to Youtube, type in Gamebusters Nation, and their videos will pop up! They are really funny. Check out the video called "Can your pet, and transformers, age of boxes, nooks cranny commercial…" Just really people, watch them! Subscribe to please! After you watch the videos, comment about them!